TN government special for Diwali! Sri Ramachandra Murthy October 12, 2018 11:30 IST TN government special for Diwali! 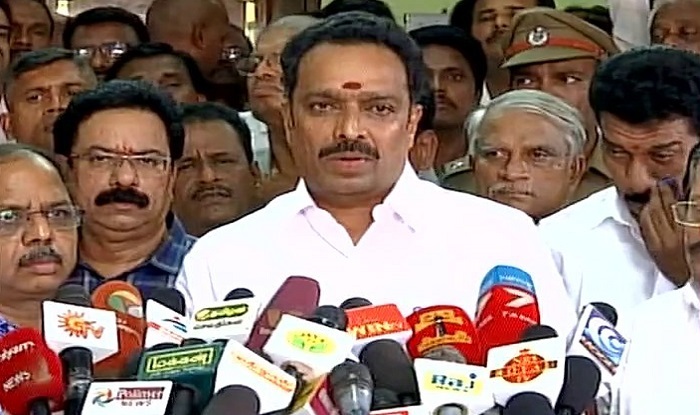 Transport minister Vijaya Baskar has announced that this year, there will be more number of buses and special buses running than compared to every other year on occasion of Diwali, the festival of lights. People have already started preparations for Diwali festival, and while the festival is going to be celebrated on November 6, people have already started booking buses to go to their native places on either 4th or 5th of November itself. In such a scenario, the transport minister Vijaya Baskar has announced that there will be large number of special buses this time as Diwali special. As per his announcement on Diwali there will be 20567 special buses, and 13764 running from Chennai, and these buses will be operating on November 3,4, and 5. 3500 buses will be running from other cities, and After Diwali from other places to Chennai 1118 special buses will be running. Special reservation counters will be functioning from November 1, and there will be 26 such counters. The minister also said that severe action will be taken if private services charge higher prices. Man kills woman and commits suicide! A man from Suramangalam located in Salem cut the throat of a woman who had extra marital affair with him, and later hanged himself. These shocking death incidents took place in an ice cream shop owned by a person from Suramangalam named as Pandiarajan.